One more parking complaint to add to my very long list: Filming! 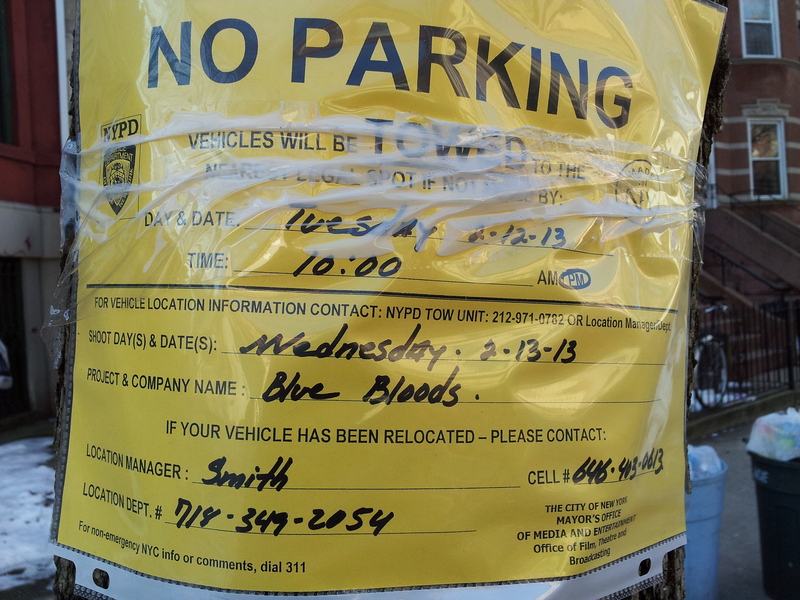 This morning my block, here in Crown Heights, was closed to parking by the NYPD so they could film an episode of Blue Bloods ( http://bit.ly/pbd9Ff) . To add insult to injury, they weren’t even filming on our beautiful block, they were simply using it as a trailer park. The actual filming took place around the corner in front of (Banco) Popular (No me puedo imaginar lo que el episodio es sobre) on Nostrand and Eastern Parkway – GMAP: http://goo.gl/maps/LubtA. And to rub a little more salt in the wound, according to the owner, none of the crew – actors, extras, directors, gaffers, etc. – had the sense to purchase a local sandwich at Syds Serious Sandwhich shop – http://sydsserioussandwichshop.com . 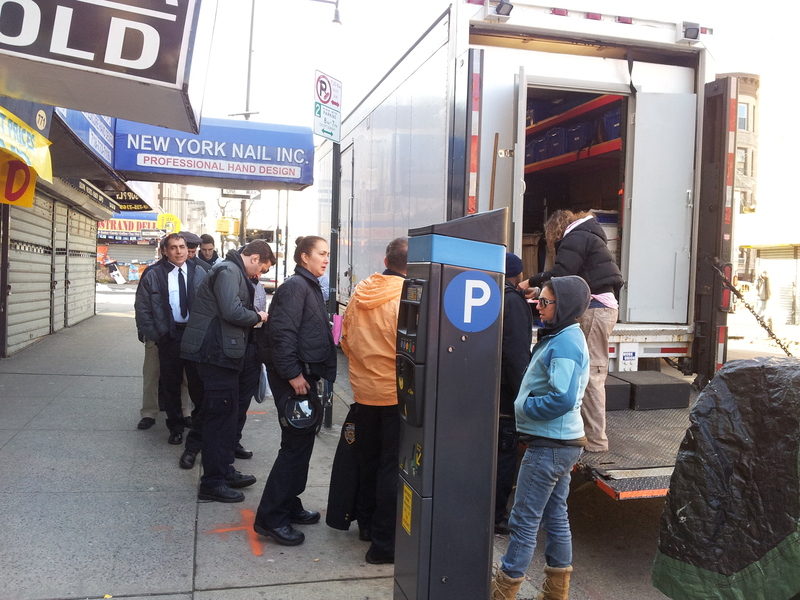 Extras for Blue Bloods wait outside an equipment truck.